Concept Sweden AB is a young company, but they have many years of experience within the field of automation. 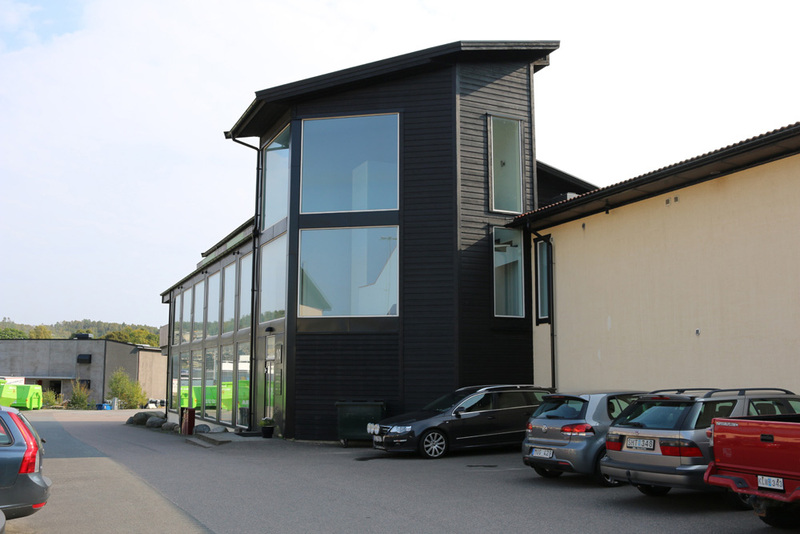 Situated in Gothenburg, on the west coasts of Sweden, a group of experienced engineers and young blood in the line started the automation company in 2011. The startup has been very successful with an average growth rate of more than 25% per year. They have had a high annual profitability right from the start, and their new waterjet cutting machine investment has improved profitability even further. 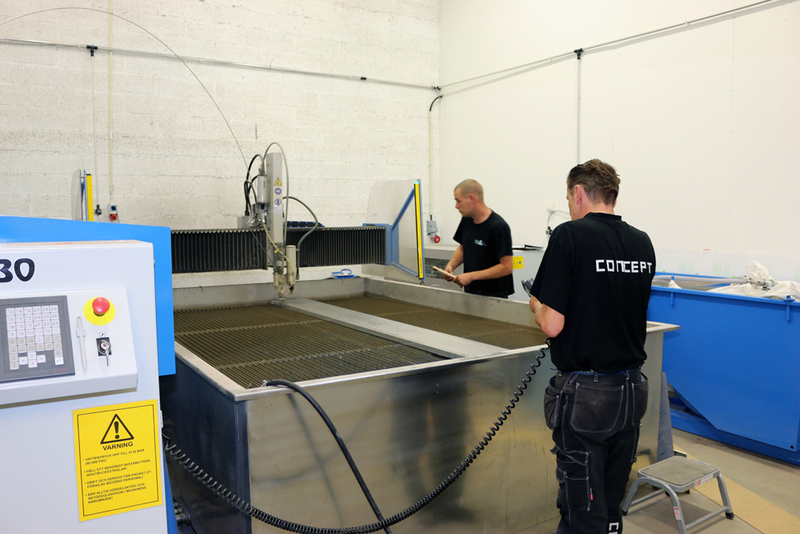 – We looked where we had our biggest purchases and realized we bought waterjet cutting services for 1.5 million SEK last year, says Mathias Ytreeide, production manager at Concept Sweden. We thought it was about time to find another solution. 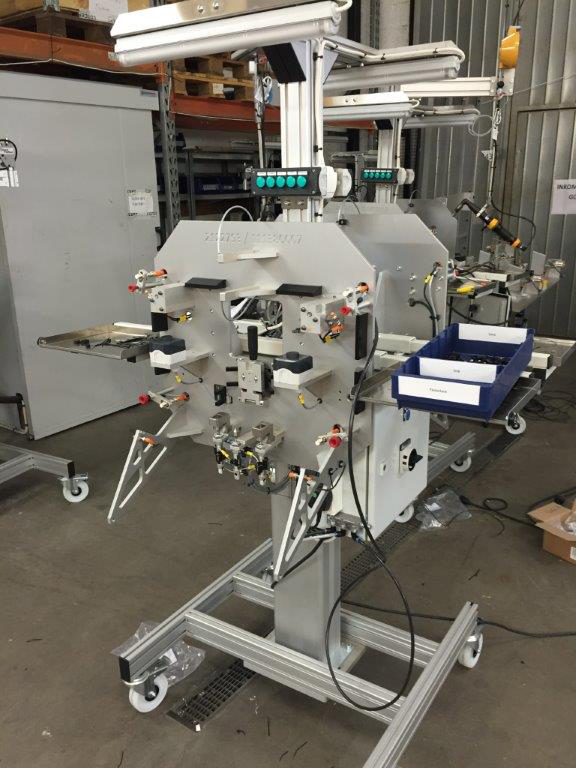 Concept Sweden are specialists in automation, serving customers mainly in the plastics industry. 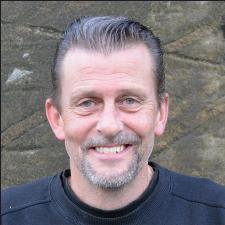 The company currently consists of 15 people who design, manufacture, build, install and deploy special machines and production equipment tailored to specific customer needs. The company also provide service and maintenance, contract manufacturing, electrical cabinet construction etc. To produce customer specific machines, they have a well-equipped workshop with several Mills, a lathe and a large selection of hand tools. Each machine build means some kind of customization. Now, the machinery has been extended with a new waterjet cutting machine from Water Jet Sweden – the new multi-purpose system, T-model Advanced. – We looked at three different suppliers of waterjet cutting machines, and we chose Water Jet Sweden. They had the best offer and the sales rep lay on and showed more interest than the others. Some functions, like Height Sensor, was included, while the other offered them as option, and their machine also was of a smaller size, with less cutting area, said Mathias. Waterjet Sweden gave us the best value for money and a fast ROI. Although waterjet cutting was completely new technology for the production department, they quickly learned how to take advantage of the opportunities that the new machine provides. – The training was incredibly good. The technician was calm and experienced, and we were in full production already the day after, tells Mathias. It has been very successful. It’s quick and easy to prepare jobs, and the machine keeps running while we’re doing other jobs at the same time. After visiting some other companies with waterjet cutting machines, there was some concern about the waterjet technology being dirty and noisy. – Some of us were worried that it would be dirty and noisy, but there are no problems at all. We have the waterjet machine in a separate room, and with some simple daily maintenance there is no problem at all with dirt, says Mathias who has his own workplace next to waterjet cutting room. Half a year after the investment Concept Sweden only see positive effects of purchasing the waterjet cutting machine. 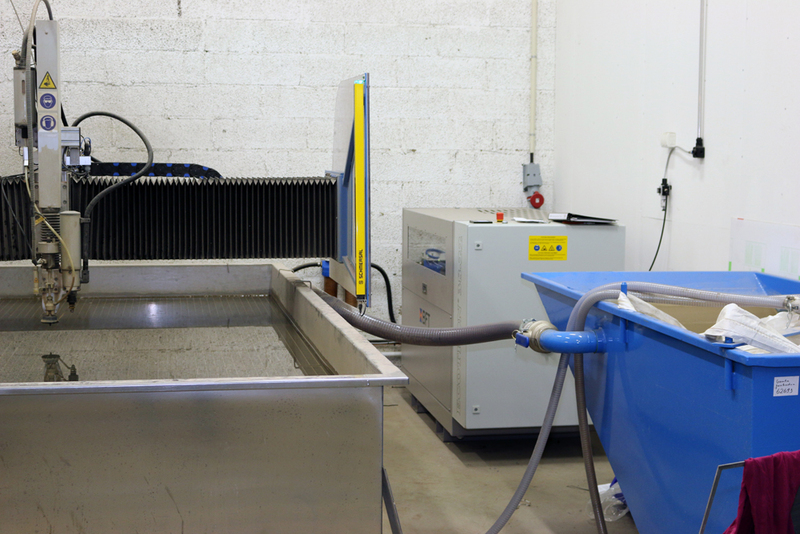 To change and manufacture waterjet parts in-house has proven profitable. Another unexpected benefit is that it also has improved service towards their existing customers. Most parts we cut with the waterjet is for our own products, but we also do occasional cutting jobs for our existing customers. Often it is quicker for us to fix the parts that they need rather than to go to someone else who don’t know their product. It is both more simple and cheaper, says Mathias. We thank Mathias for a nice conversation and wish future success for Concept Sweden.